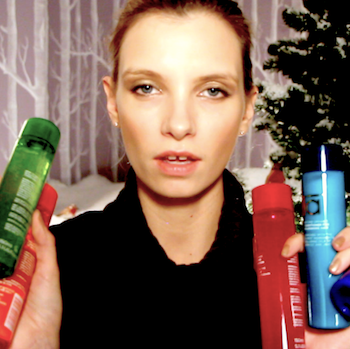 Christmas Gift Guide: Big Beauty! OK, here it is folks! The first Christmas Gift Guide. I’m only doing a few this year – Luxury, which is this one, Mini, which is coming up (smaller gifts and stocking fillers) and then one on the Christmas cosmetic collections and fragrances. The last two aren’t really gift guides, I suppose, more beauty videos with a festive background, but still good if you’re stuck for inspiration. How do you like my snow scene in the background? Let me know. My entire house is flecked with fake snow, it’s a nightmare! I hope my hoover doesn’t pack in! If you can’t see the video, then click here. Next Post Paul & Joe Loveliness Overload.